Rosie introduced me to the three other Cove Guardians. There was young, lanky *Nina from Australia; outspoken *Robert from Canada and quiet, serious *Kevin – a Dutch national. It was the first time I met them. Robert and I have been FB friends for a year or two and we were both very excited by the prospect of meeting for real while serving together as Cove Guardians. That is the beauty of Sea Shepherd: it unites and bonds people from all over the world and gives them the opportunity to stand next to each other in direct action. The mood was somber. The team just returned from documenting the death of 11 Risso dolphins at the hand of the killers and watched as three were pulled from the frantic pod, destines for a life in captivity. After our introductions we all went to the hotel lobby. While I was waiting to be checked in, Rosie gave me a lesson in do’s and don’t's. If they spit on you, don’t spit back. It constitutes assault. If they hit or push you, don’t hit or push back. The law is not on our side. We are considered to be dangerous and normal law is altered to make sure we do not pose a danger to Japanese citizens. Even something as innocent as a sudden movement can be construed as a threat and could result in some legal trouble. Don’t hurl abuse at anyone, not in English and not in Japanese. They don’t understand a word of English and Japanese pronunciation is tricky. If it isn’t 100%, you could very well be telling someone “your brother’s left foot is a pink boot” when in fact you are trying to tell them “your mother never loved you”. It is pitifully easy for things to get lost in translation. They don’t understand lurid sign language either. A zap sign is just an extended single finger. It has no meaning. Don’t block them or stand in their way. it will be interpreted as interfering with commerce which could, again, result in some unwelcome legal attention. “You’re kidding, right?”. I didn’t travel thousands of kilometers over a period of four days only to be rendered an impotent pawn in a deadly war against nature, Rosie’s expression didn’t change. Her face was dead pan. “What the hell do we do then? !” I asked in dismay. Rosie answered me with a mischievous grin on her face. “You pitch up.”. “Gee, that’s helpful.”. Yes, I have a penchant for sarcasm. It still sounded like a bit of a raw deal. These guys act with impunity and all I can do is pitch up? I felt helpless and deflated. We were standing outside the lobby on the sidewalk. “Oh look! There’s the police!” She pointed at a silver car parked down the street and waved. Rosie went on to explain to me that there are three different kinds of police. The uniform guys are true Japanese: they are very polite and above all they are firm and fair. Although they have a mandate to follow, they will not abuse their power and/or act like bullies. They are all gentlemen in the true sense of the word. The Wakayama guys are plain clothed and they act like brutes. They have a personal bias against us and one of the guys buys or receives dolphin meat from the hunters. They also hang out with the killers every morning prior to the killers going out to sea to look for prey. Lastly there is the riot police who pretty much keep to themselves and will only ever exit the riot vehicles in case of, well, a riot. The riot vehicles are parked daily at the harbour. A little Japanese lady made her way to the reception area. It was time to check in. 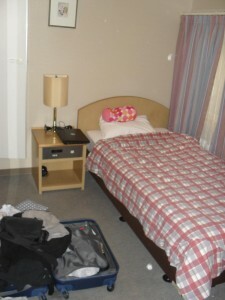 My room was clean, functional with no unnecessary frills. Next to the bed was a pair of complimentary bright green plastic slippers. The bathroom was the size of a cubicle and the bath the size of a largish deep basin. I had no idea how I was going to fit my large, lumpy, bumpy Western body in the tub, but one way or the other, I will make do. The lady was all smiles and bows. I warmed to her immediately. If we were so hated, she was taking a huge risk by housing us – whether we were paying customers or not. She turned out to be one of the nicest Japanese people I would encounter and would often bring us little treats when we sat in the lobby at night discussing a day’s events. After unceremoniously dumping my heavy suitcase in my room and changing in to my Sea Shepherd branded clothes, I made my way downstairs where the others were waiting. 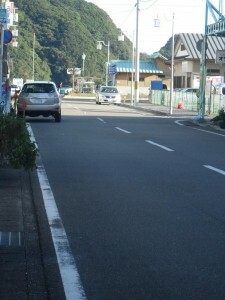 We were headed out to the little neighbouring town of Taiji to check on the three dolphins who were captured that morning. I was about to get an introduction to dolphin captivity. Police on the opposite side of the road, watching us. This became a familiar site. My room. 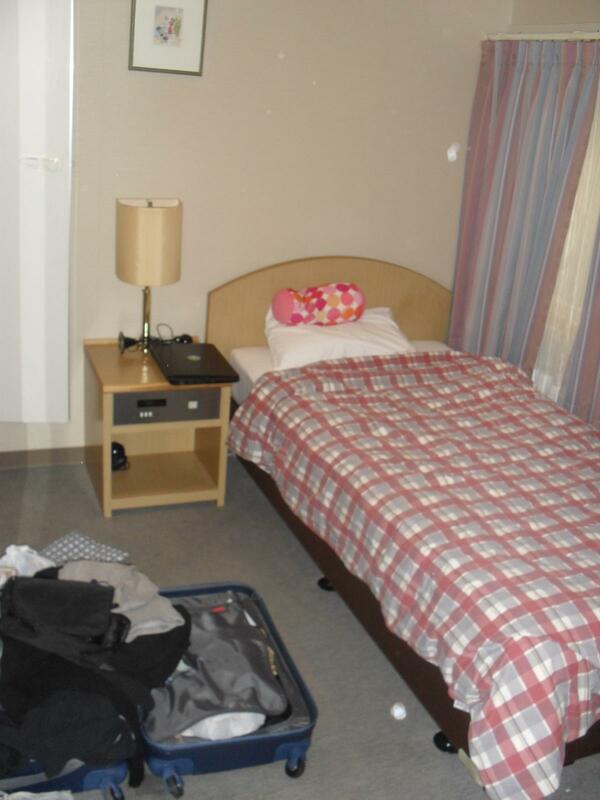 The pink thing on the bed is a snuggle pillow. I don't travel anywhere without it. It's AWESOME! 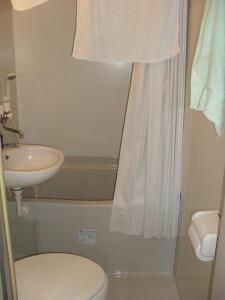 The bath. 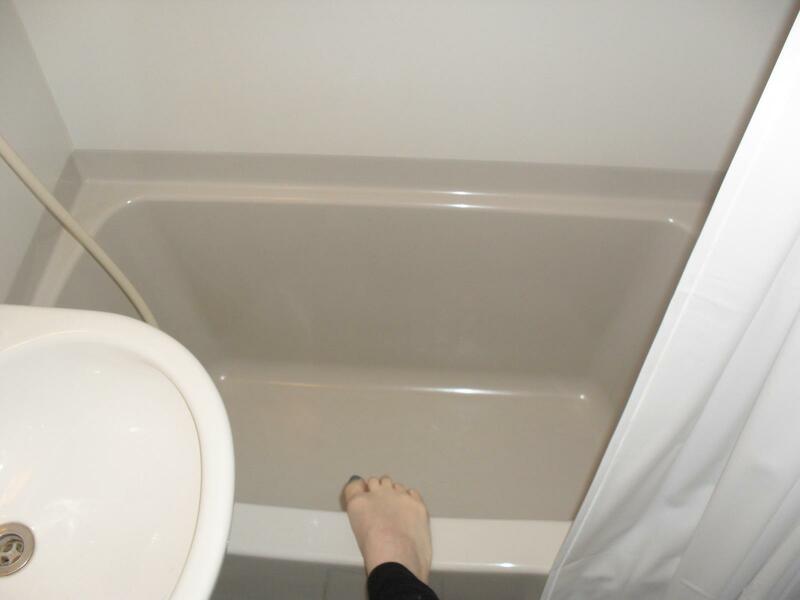 My foot is there to show the scale of the bath. I just wanted to Thank YOU for showing us the pics of your room! It is so difficult for some people to understand and to “get-it”! There is no place for “materialism” or a “Fashion-show” when you guys are literally “fighting for your lives and for the dolphins”!! KEEP THE DONATIONS COMING THOUGH who knows? We might help smooene else get to Taiji. If not, then the balance after my cost can be donated to Sea Shepherd who can use the funds to fight for our oceans and all who live in it! !